Last month’s issue of The National Review featured an article by Pete Hutchison, lambasting Santa Clara County District Attorney Jeffrey Rosen’s “Collateral Consequences” memo and practice. Hutchison seems to attribute all of the woes of most victims to Rosen’s directive to his office to consider the collateral immigration consequences for cases prosecuted by his office involving non-citizen defendants. Hutchinson’s diatribe is misinformed, misdirected and startlingly off-target. Which shouldn’t surprise most readers who have any idea of the roots of The National Review or its general opinion on all issues political, social or judicial. The National Review is a conservative, quasi-monthly magazine founded by William F. Buckley, Jr. in 1955. Unsurprisingly, the missive aims to present politically conservative ideals in a palatable manner to the general public. Lest we have forgotten, Buckley is also the political commentator and author who deemed the HIV/AIDS epidemic “the special curse of the homosexual” and argued that all AIDS patients be “tattooed in the upper forearm, to protect common-needle users, and on the buttocks, to prevent the victimization of other homosexuals.” Needless to say, any opinions printed in or by The National Review should, at the very least, be taken for what they are: skewed vehicles aimed at promoting a widely unpopular viewpoint which has not matured or changed in any significant way since the magazine was founded more than six decades ago. The article begins by painting a pretty picture of a loving wife, mother and professional who, by the unlucky alignment of the stars, managed to marry “a reprehensible bully and abuser” who subjected her to “the worst kind of mental and physical abuse.” The tone of the article then moves on to righteous indignation at District Attorney Rosen’s “dumbfounding” decision to charge the defendant in that case with what the author calls “offensive touching.” The article then glosses over the criminal court process as a whole, and goes on to lament the fact that the District Attorney assigned to the case seems to have followed his or her job description to the letter: to charge the case appropriately and prosecute it effectively. A decision which ultimately resulted in a conviction. Clearly, Hutchison does not have an educational or professional background in law, as evidenced by his absence from the ranks of the licensed attorneys in the state of California (or any other state for that matter) as well as his cannon of written works (which are limited to a series of published travel guides.) What Hutchison does not seem to understand, is that “offensive touching” is included in the language of California Penal Code Section 242, and is not in and of itself the title of a criminal act. More specifically, CA PC § 242 is the codification of the crime of battery, and although the title could be misleading, even a cursory examination of the statute reveals that battery does not actually require injury to another person. In fact, even “the slightest touching can be enough to commit battery if it is done in a rude or angry way.” See Judicial Council of California Criminal Jury Instructions (“CALCRIM”) 960. The defendant described in Hutchison’s article was charged with battery, which may very well have been the appropriate charge under the circumstances. Although Hutchison describes the defendant’s actions as “savagely” beating his wife, the only evidence he points to is an article in The Daily Beast, a “news and opinion” website of questionable motives with only a peripheral relationship to the truth. The link to the purported article included in Hutchison’s piece is no longer valid. In reality, there is no evidence presented in Hutchison’s article detailing the severity of the beating, or verifying that there was a beating at all. And without full access to the record of proceedings, Hutchison’s allegations against the defendant in this particular case are reckless and defamatory. Hutchison goes on to state that “In practice, Rosen’s policy appears to be that possible deportation is worse than the domestic terrorism and savage beatings that women like Ms. Rastogi endure.” However, these statements are unfounded and inflammatory. Again, there is no evidence that Ms. Rastogi endured an act of “domestic terrorism” or a “savage beating.” In addition, Hutchison seems to be suggesting that the District Attorney’s policy is to weigh the rights of the victim against the rights of the defendant and then make a determination as to which is more important. The threat of possible deportation is, in and of itself, terrifying, demoralizing and damaging. To the defendant him- or herself, as well as to his or her spouse, children, parents, co-workers and community. Hutchison glosses over the effect the threat of deportation might have on a defendant and focuses solely on the rights of the victim, when in reality one might very well be worse than the other – just not the one that Hutchison is suggesting. Hutchison does manage to note that Ms. Rastogi did, at one point, ask the District Attorney’s office not to prosecute her husband. This may seem trivial or even ridiculous to many readers, but it is not an inconsequential act. In the case that Hutchison uses as the focal point for his article, the victim is described as “high-tech star working at the world’s premier technology company.” Clearly, she is not a shrinking violet and she is not an uneducated submissive. She is a professional woman with a burgeoning career. And, therefore, her decision to support her husband despite the marital problems they encountered should be respected and honored. Yes, Ms. Rastogi has rights as a victim of violence, and yes, she should be provided appropriate support and representation. But none of these rights are precluded by the District Attorney’s policy on collateral consequences. Hutchison also calls District Attorney Rosen’s collateral consequences policy “probably unconstitutional,” but fails to provide any evidence whatsoever to bolster his opinion. As a means of educating Mr. Hutchison, as well as the National Review’s readership as a whole, constitutionality is one of the foundation blocks of our judicial system. There is no evidence (or supporting documentation cited in the article) to support this contention. In fact, declining to consider the collateral consequences – most especially immigration consequences – of a criminal prosecution actually is unconstitutional. Padilla v. Kentucky, 559 U.S. 356. And while Hutchison alleges that District Attorney Rosen’s policy stems from a “misreading” of the decision in Padilla, that is a misinterpretation of the facts as well. No, Padilla does not require criminal defense attorneys to “have knowledge of a highly specialized area of the law.” It merely requires criminal defense attorneys to advise their clients of a potential risk of deportation associated with the charges they are faced with or the plea agreements they are considering. District Attorney Rosen is simply taking this directive one step further, by taking some responsibility for appropriately, fairly and intelligently prosecuting the cases assigned to this office. Finally, Hutchison throws the race card red herring into the mix by arguing that an African-American, Native American or United States citizen Hispanic defendant in District Attorney Rosen’s county is not afforded the same privileges as a non-citizen defendant. The most obvious error in this argument is that none of the other classes of defendants listed in the article would or could face the same collateral consequences as immigrant defendants, which renders the argument moot. But Hutchison invokes the often misquoted Equal Protection Clause as the basis for his allegation of unconstitutionality. He states that “Equal protection means that there is no justice if two people are charged with a crime and one gets a break because he or she is a non-citizen, while the citizen must face the charge’s full punishment.” Unfortunately and unsurprisingly, Hutchison misunderstands the Equal Protection Clause under the 14th Amendment to the Constitution. In reality, the Equal Protection Clause directs that no state shall deny to any person within its jurisdiction the equal protections of the law. Protection from deportation is one of the most important of these protections and therefore should be afforded at all costs to immigrant defendants. Hutchison can twist the meaning of the law as much as he wants to. But he can’t change what the statutes or the Constitution actually say, and he can’t attribute false intentions or racial bias to a county policy about which he clearly understands very little. 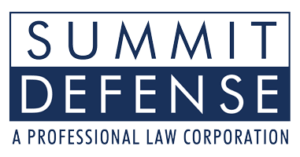 Summit Defense Criminal Attorneys is the Bay Area’s premiere exclusively Criminal Defense firm. With six offices in the bay area, our criminal lawyers have successfully defended assault and battery charges in San Mateo, Santa Clara, Alameda, San Francisco, Marin and Contra Costa counties. The New York Times, “Crucial Steps in Combating the Aids Epidemic; Identify All the Carriers,” March 18, 1986.